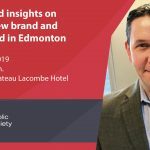 The JW Marriott opens later this year and Steven Walton, Director of Sales and Marketing, will be presenting on how Edmonton was decided upon for the newest location, some of the challenges that they have faced with the new opening, and how the hotel is positioned within the local market. Born and raised in Edmonton, Steven is a career hospitality professional and truly enjoys the service of others. He lives on Candy Cane Lane and has a wife, two young children and is a dog lover with two golden labs. He possesses 20+ years of extensive and diverse experience in the hospitality industry. Spanning 10 years in free-standing restaurant management within both the front and back of house and another 14 years in hotels from restaurants, banquets through sales. 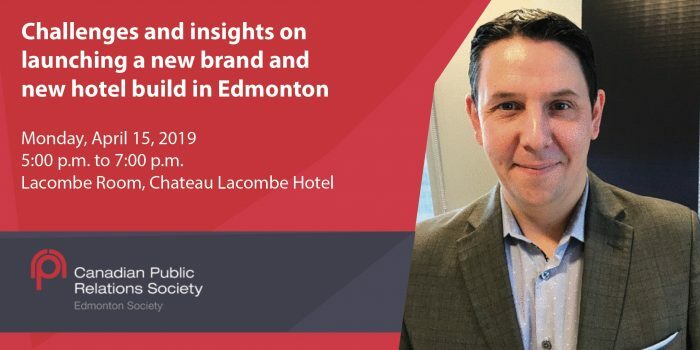 He began his hotel career with Delta Hotels, moved on to Fairmont Hotel Macdonald as the Director of Sales & Marketing where he was honoured to steer the 100th year celebrations as well as launching Fairmont Gold to the Edmonton market. Now he is more than excited and humbled to have the once in a lifetime opportunity to lead the launch of the JW Marriott Edmonton in Edmonton’s ICE District.